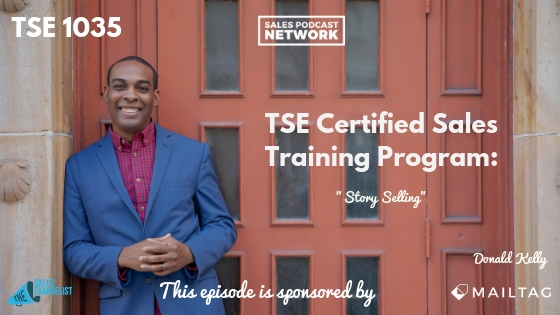 TSE 1035: TSE Certified Sales Training Program - "Story Selling"
Stories provide a powerful opportunity to connect with your prospects, and story selling can push you across the line and even make you more successful than the competition. They can even help you overcome a less superior product because people respond to good stories. Good stories can separate you from your competition. I’m putting together a workshop right designed to help business owners understand the power of stories in the selling process. Many of them are trying to land big contracts without great stories. I call this process edutaining, and it differentiates those who do it well. After all, anyone can talk about their product or service. Not everyone can explain how it solve problems for clients. Not everyone can give specific examples of the difference their product or service made. Your prospect wants to hear why it matters. He doesn’t care about your software or widget; he cares about what it can do for him. I’m helping a client build a huge presentation for a corporation her company has done business with in the past. She’ll be educating these buyers about her company and its offerings. As she prepares, she’s trying to determine what exactly she should say. We’re working to provide the “whys” of her company instead of focusing on the “what.” Rather than address what they do, what they offer, and what they can create, she’ll focus on why they’ve done those things. What makes you passionate about solving this issue? Why do clients seek your products? When she told me the story of why she started the company, she came to life and her excitement pulled me in. She told me about her first client and the series of events that launched the whole company, and she pulled me in. It didn’t matter to me that she had been in business for 15 years. Spend time thinking of examples of the ways you help your customers solve problems. Ask yourself what your buyers are most concerned about. Think back to an experience when you helped a client solve an important problem or prevent a crisis for their own customers. Then, weave that into your presentation. In the case of this client, her company had suffered a bad experience because of a product delay, and she was concerned about how to handle the situation. To take the fear out of the incident, she decided to tell a story that directly addressed it. She acknowledged that her organization isn’t perfect, and then she addressed how they had fixed the mistakes that happened in the past. She emphasized her company’s desire to never make the same mistake twice. 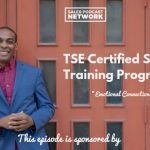 The TSE Certified Sales Training Program addresses how to provide value to your buyers. We discuss the importance of teaching and educating them using stories, and you can be part of it. 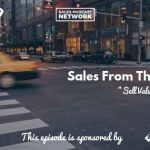 This episode is brought to you in part by our TSE Certified Sales Training Program, which teaches you to improve your sales skills, find more customers, build stronger value, and close more deals. The next semester begins in April. This episode is also brought to you in part by mailtag.io, a Chrome browser extension for Gmail that allows you to track and schedule your emails. It’s super easy, it’s helpful, and I recommend that you try it out.